The Warp-Storms are over, the Herakon-Cluster is finally accessible. 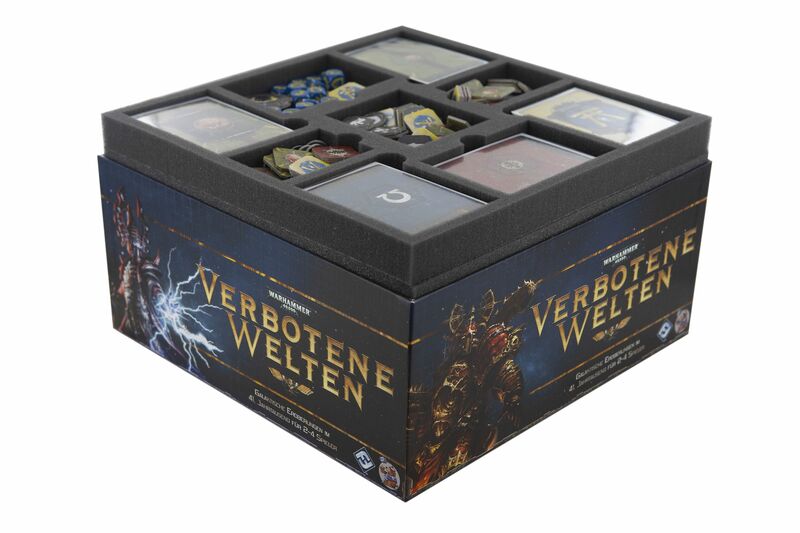 Four Factions – Space Marines, Chaos Space Marines, Orks and Eldar – instantly set out to take control of the planets and ancient Treasures of the sector. 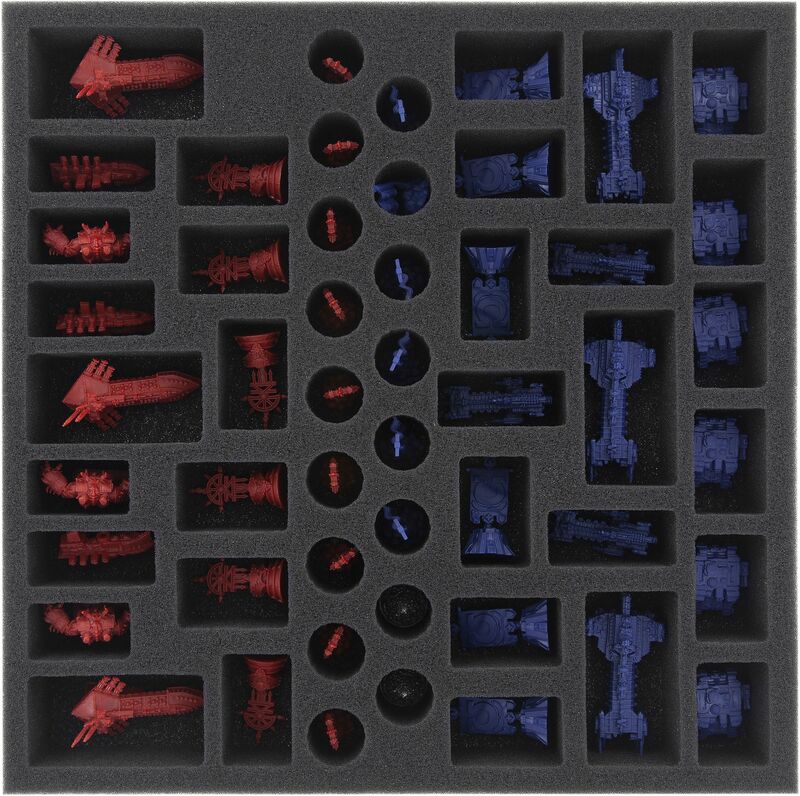 In Warhammer 40000: Forbidden Stars, you have to build armies, cities and factories in order to establish dominion. 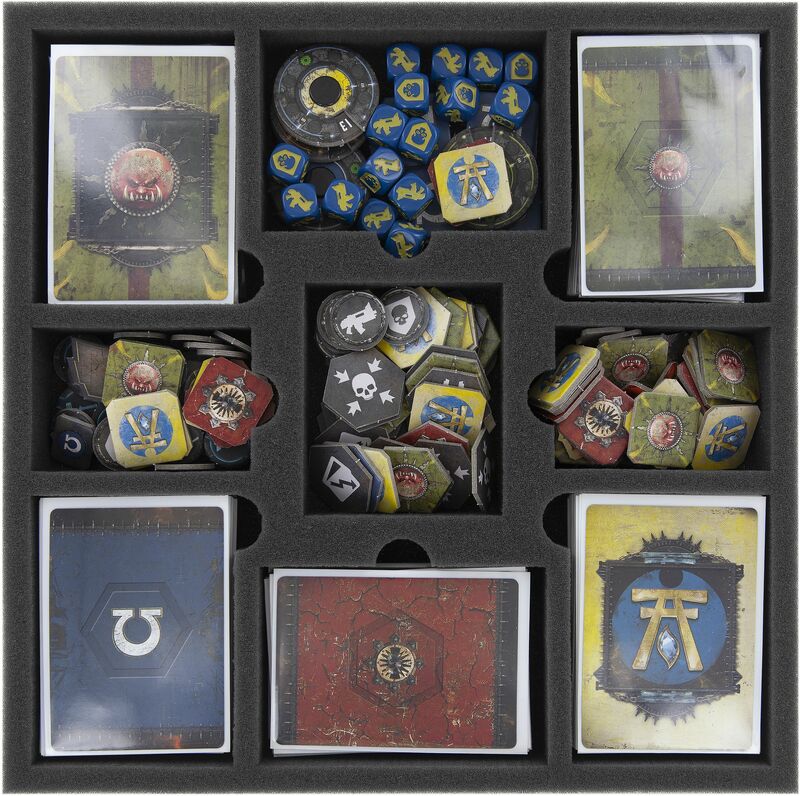 Of course, it is of utmost importance to plan ahead if you are to crush your opponents. 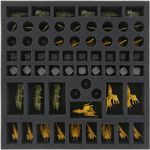 We at Feldherr recommend to start planning even before the actual game has begun: After all, you’d like to have your troops ready when you need them, right? 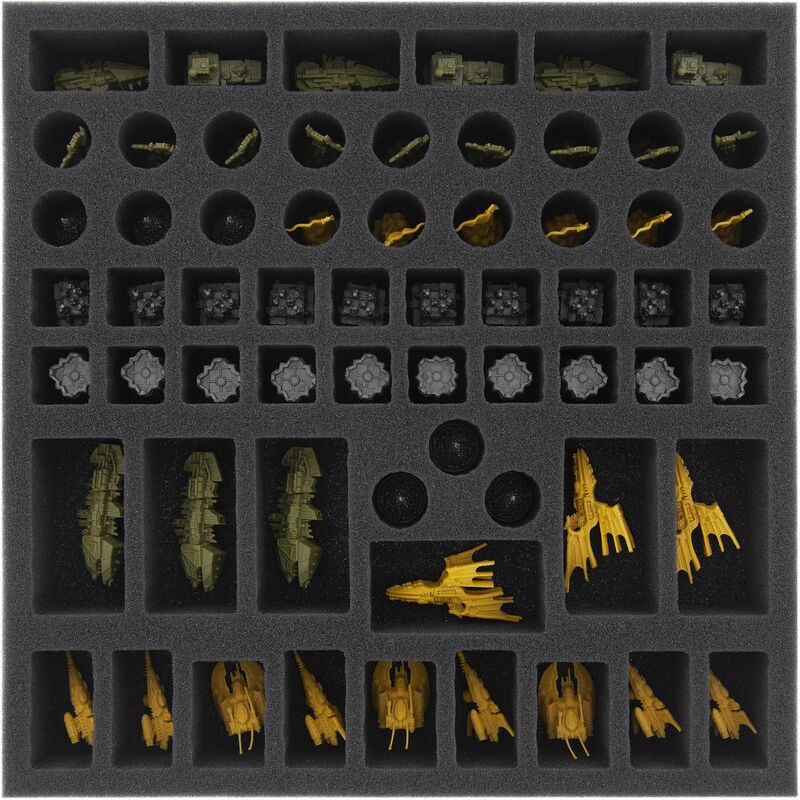 Our foam set for Warhammer 40000: Forbidden Stars enables you to properly organise and safely store all components of the game. 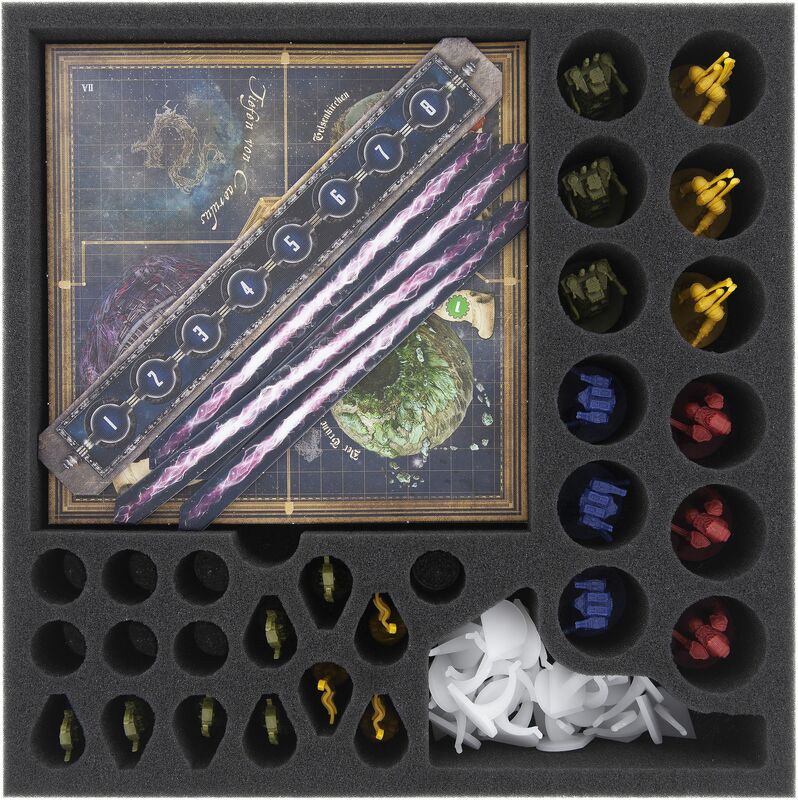 When we say all components, we actually mean all components: miniatures, dice, markers, tokens, System-tiles – everything fits! 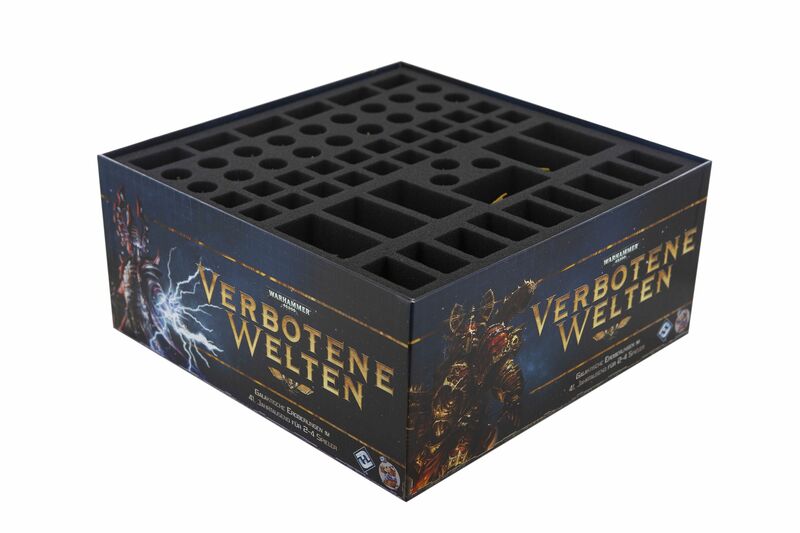 The Set consists of four custom cut, stackable foam trays. Two of these are reserved for miniatures of the four sections and various buildings. 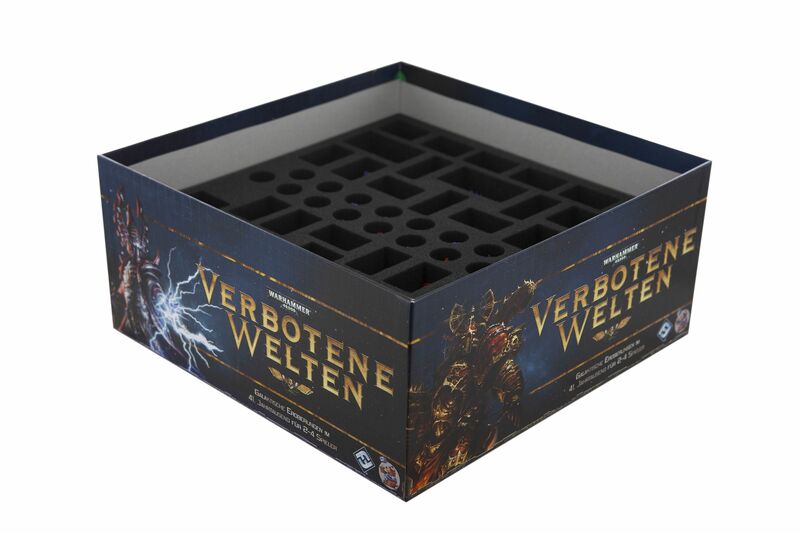 A third tray will hold the system-tiles, further miniatures and stands. The fourth tray provides space for accessories like cards, dice, tokens, you name it … Last not least, the Set comes with a foam topper to protect the components of the uppermost tray. 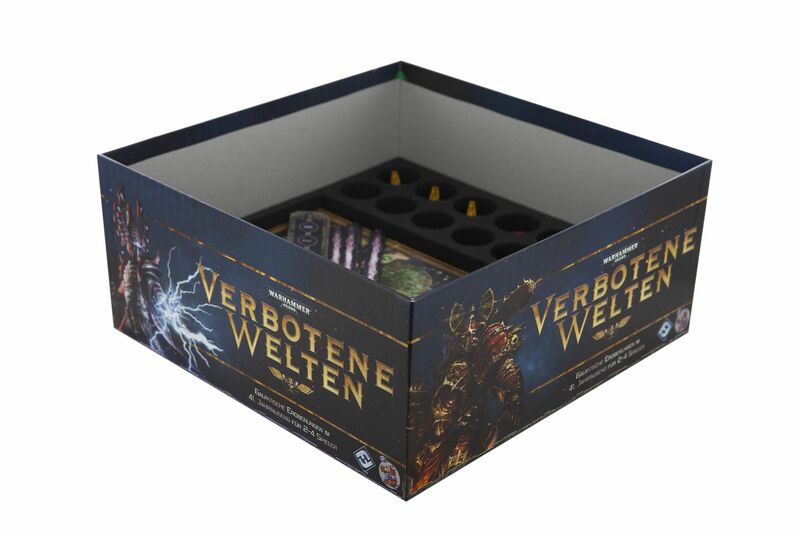 By the way, the Set fits exactly into the Original Board Game box – nothing slips, nothing wobbles! Organised thus, you can draw your full attention to what really matters: The battle for the Herakon-Cluster! 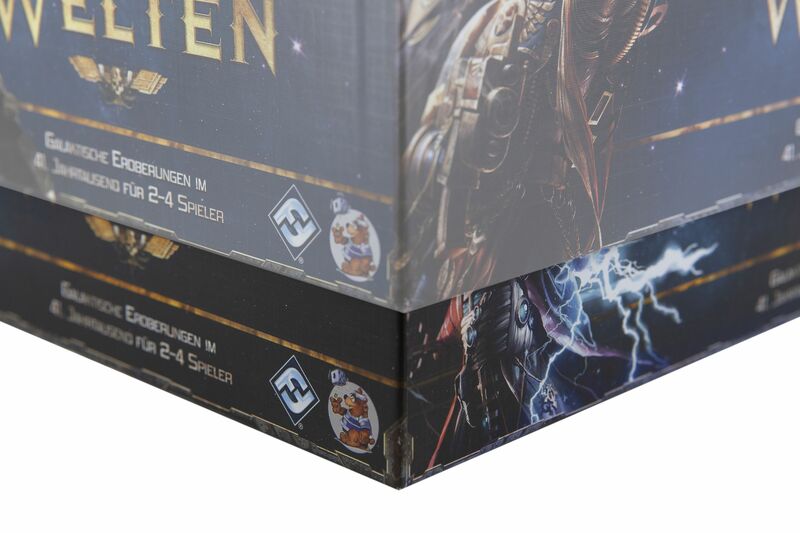 Due to the height of the trays, the Set slightly extends over the edge of the Original Board Game box.